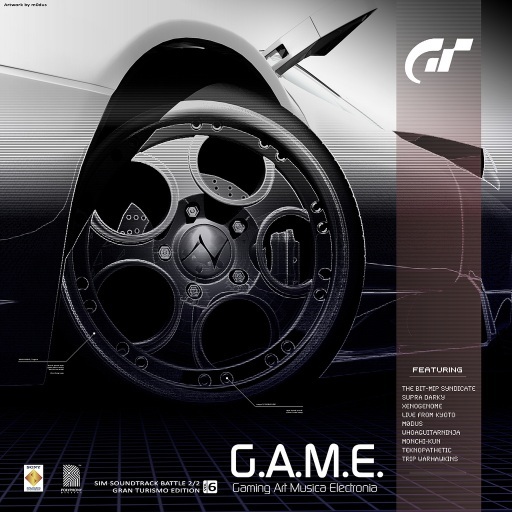 The Gran Turismo 5 half of G.A.M.E. 6 is here courtesy of the talented members of NeoGAF. I haven’t had the chance to listen to it yet, but I’m sure it’ll be great cruising music. Hell, I didn’t even listen to Forza 3’s soundtrack; I just loaded G.A.M.E. 6 Forza 3 Edition on day one. To me, that was Forza 3 music. I don’t know if I’ll replace GT5’s music completely (I actually like it), but I’ll be sure to load this up and check it out. And I urge everyone do so as well. Below is the track list and download link. I’m definitely picking Donkey Kong Country Returns and Gran Turismo 5. So with those games coming this and next week, I’m taking a look back at what games I’m missing out on. Red Dead Redemption (360) – I keep waiting for a substantial deal to hit this game, but one never shows up. Assassin’s Creed: Brotherhood (360) – It’s an Ubisoft game. It’ll drop down in price really quick. Vanquish (PS3) – I wanted to Power Trade for this game, but plans fell through. Now I’m going to wait for a deal. Kirby’s Epic Yarn – No deal or promotion for it kept this one out of reach. Professor Layton and the Unwound Future & Ace Attorney Investigations – I every intention to pick these two up, but I miss out on sales or just didn’t find the time to slot these in. Mafia II (PC) – Waiting for the Steam sale! StarCraft 2: Wings of Liberty – I’ve decided to wait for the Battlechest. You know it’ll show up. It will take me 3 or 4 years to play StarCraft 2, but I’ll be able to play them all back to back! No doubt it’ll be glorious as well. Fable III – I’m hearing negative things about Lionhead’s latest. And with my recent purchase of Fallout: New Vegas for PC, I don’t think I’ll find time for this one this year. Metal Gear Solid: Peace Walker & God of War: Ghost of Sparta – PSP games are just not appealing to me at the moment. If I see an attractive sale, I’ll pick them up. I didn’t think there would be so many games, but just look at them all. I’m currently $180 under my 2010 gaming budget. I hope I can somehow squeeze at least half of the above in this year. Did you hear? Gran Turismo 5 was delayed! Again! But don’t you fret! the game’s release will be coming this holiday season. What’s the reason for the delay? Are they trying to avoid Call of Duty: Black Ops? Not done yet? No reason was given and I don’t really care anymore. This is game has been in development for over five years now. What’s another five? We know it’ll come out eventually. Even games who that have been in development forever eventually do.